For the MEN~ “Never take your position by Force, if you do then you have moved out of legal authority”. Is this somewhat confusing? i’d explain i once saw in the course of the week, a picture of woman who was severely beaten by a man. Rather disheartening, i must admit. A gentleMAN who has the spirit of God in him shouldn’t follow the steps of a feeble MAN. A feeble MAN would hit his woman all because he has a strong misconception of his position as a man. There is a huge difference between an elected and‎​ a dictator. The former has authority and‎​ the latter merely has power. To have authority means to have the right to govern. 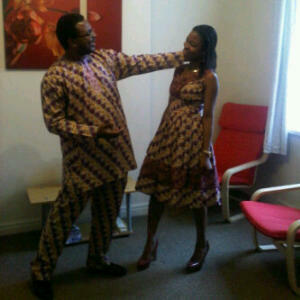 Therefore if a MAN decides to start hitting his wife even when it is apparent to him she’s no punching bag, then such man becomes a FEEBLE man who is merely wielding power over others and‎​ no longer have legitimate authority. A Gentle and‎​ Strong MAN is a man who understands his God given strength is not to beat his woman but to maximize all his potential for the purpose for which he was created. For the Wo-MEN~ In the course of the week, i was in a session with a friend and‎​ she said “push him to the limits while still courting with him” i didn’t quite agree with her when she said that because there is a limit to which a lady is expected to push a man you are not married to. Well, LADIES i have this to say, if you must follow a man or listen to him, or even court with him, be sure he has “christ-like” traits. Perfect love drives out fear. If you notice your man has to make you afraid of him in order to force you to do something he wants done, then he doesn’t know what love is. Woman, you also need to submit to your man. As long as a man has the christ-like traits, you should be in total submission to him. Well, I fell a lady should push her boyfriend to his limits when dy r courting so she will know what he can handle (that is, if he will hit her or not) and it will enable her to know his reconciling power too….. In all patience, perseverance and prayer is the key to a peaceful marriage! Thanks christine for your comment ; i strongly feel pushing your man to the limits during courtship should be done judiciously and‎​ with proper counseling. Not many men are sane enough to understand when their woman pushes them to their limits. As this post itself was inspired from a man who beats his wife to death. Such woman may have pushed him to his limits but the man wasn’t sane enough to contain it . The man has no reason to lift his hand against his wife. The worst he could do is walk away from d scene if tempted to. Just babaric if a guy lifts his hand to beat his wife. But some women are just “pain” the push you to do what you never imagine you could do. This is a lovely write-up. Though its worth pointing out that after marriage, submission is required even if the man does not have Christ-like traits. So, be careful who you open you heart to. God bless you Lekan. God bless us all. Thanks Fola for your constructive comment, “it is worth mentioning that after marriage submission is indeed expedient. It is not meant to be conditional in such instance anymore as the bible commands it.